To reduce the risks of climate change on the planet, the 2016 Paris Agreement set a goal, which was keeping the increase in the global average temperature at well below 2°C above pre-industrial levels. To achieve this, however, negative emissions are necessary. 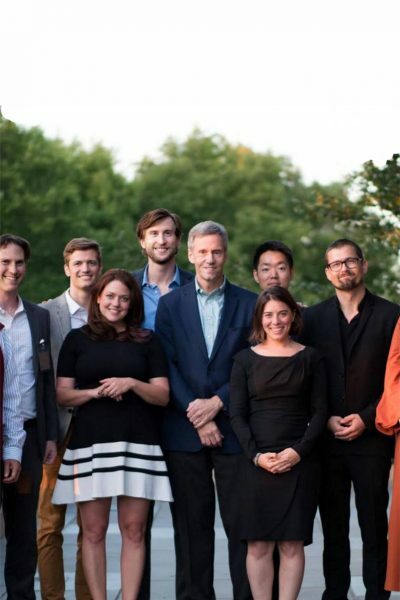 This means not only generating less carbon, but actually removing it from the atmosphere. Renewable energies can only mitigate the effect of global warming. 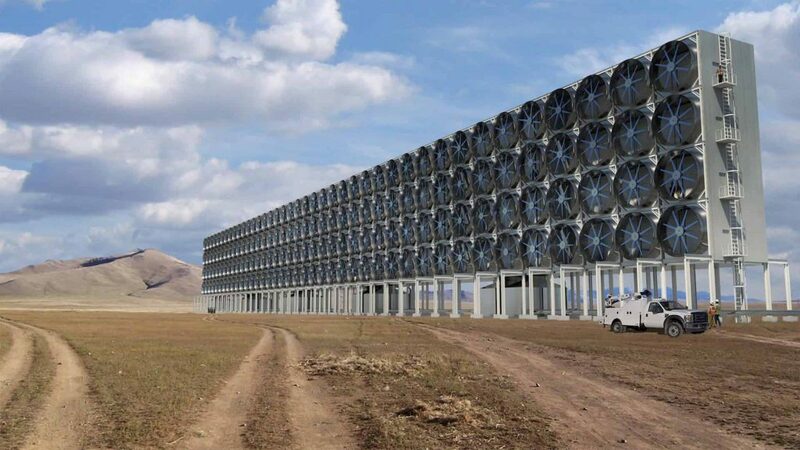 Even in the most favourable scenario, their use would only reduce CO2 by around 80 per cent. The rest must come from physically removing carbon dioxide from the air. 10 gigatons of CO2 need to be removed from Earth’s atmosphere every year to halt the pace of global warming. 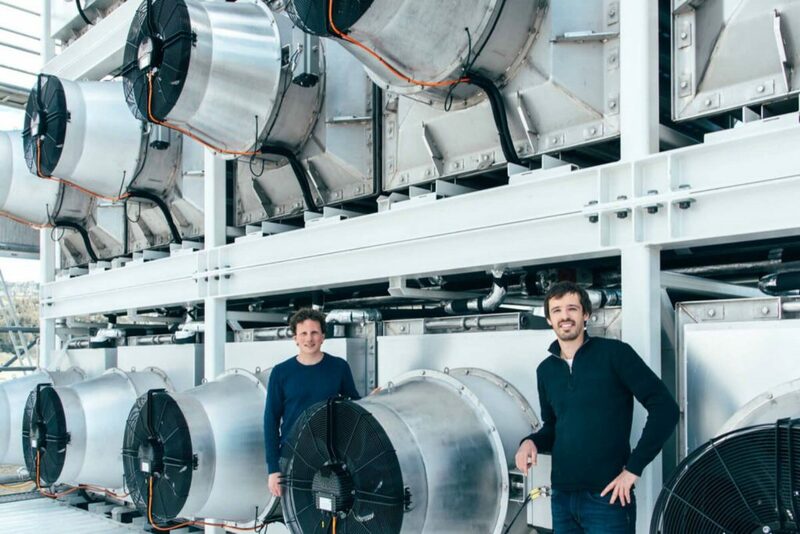 Climeworks is a Swiss company with an ambitious goal: to reduce carbon dioxide in the atmosphere by one per cent by the year 2025 and make money in the process. 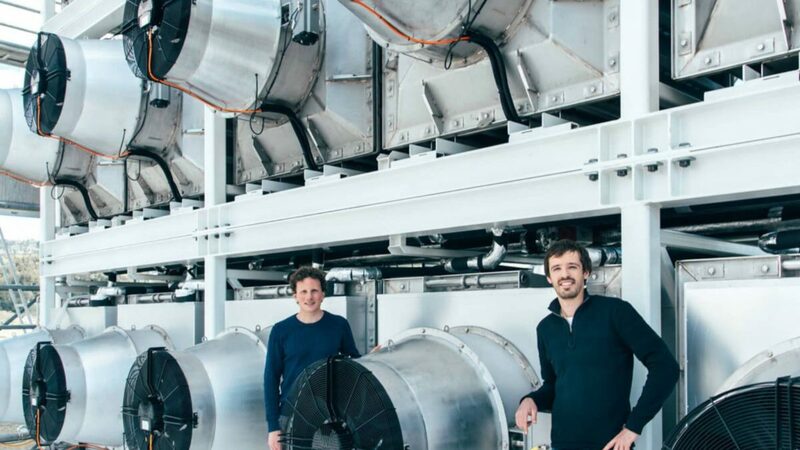 The company -the first in the world to capture CO2 for commercial purposes- is a spinoff from ETH Zurich, a Swiss engineering, science, technology, engineering and mathematics university. The plant, located in Hinwil, near Zurich, was built between a greenhouse and a waste incineration plant. The waste incineration plant provides the heat and renewable electricity needed to run the facility, and Gebrüder Meier Primanatura -the company that runs the greenhouse- will use the high-purity carbon dioxide produced by Climeworks to enhance the growth of lettuce and fruits. Plants grow more in the presence of carbon dioxide. It is estimated that the approximately 900 tonnes of CO2 that the greenhouse will receive from the Climeworks plant every year will increase the crop yield by 20-30%. The air-cleaning process works like this: air is sucked into collectors, where the CO2 is chemically bound to a filter until the filter is saturated. It is then heated to about 100ºC to separate the C02 -that can then be collected as concentrated CO2 gas- from the clean air, which is released back into the atmosphere. The filter can be used several thousand times. The resulting CO2 can be resold for many different industrial and commercial uses. In the food and beverage industry CO2 is used for carbonated drinks and dry-ice packing. It can also be used for the production of synthetic renewable fuels and materials. The company has partnered, for example, with Audi to supply some of the CO2 the automaker needs to make synthetic diesel in a pilot plant in Desden. The use of this type of fuels, made from hydrogen and atmospheric CO2, could one day help to neutralise the carbon footprint of long-haul cargo transportation and aviation. Finally, CO2 can be also be stored underground. The price per tonne of CO2 is still very high today, but Climeworks expects prices to drop dramatically once they start building more plants. The company has already received more than $7 million from venture capital firms, private investors and grants from the Swiss government. Cool.